HRANA News Agency – Following the death of a sailor because of being suspicious of unloading smuggled goods by the police, a group of protesters by attacking a police vehicle burned it in front of Dakhl Taqi hospital in Asaluyeh and clashed with security forces during which several other civilians were wounded. 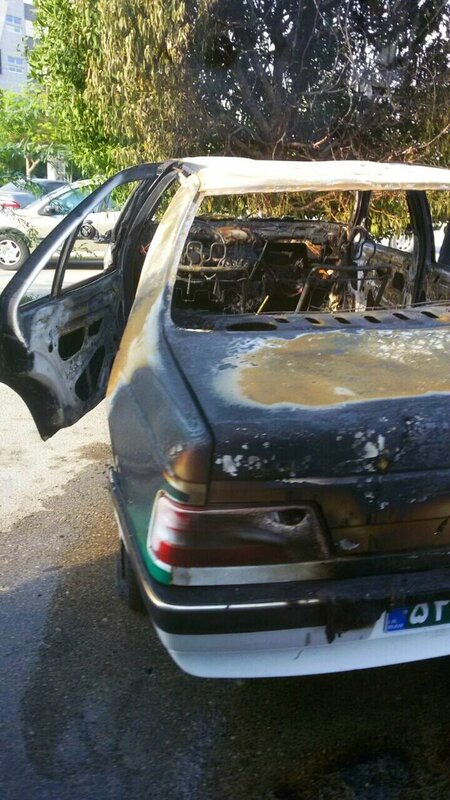 Bushehr province police chief says the situation is under control. According to the report of Human Rights Activists News Agency in Iran (HRANA), on July 6, a young sailor named “Khalil Bagheri” was killed by Police in Bushehr. 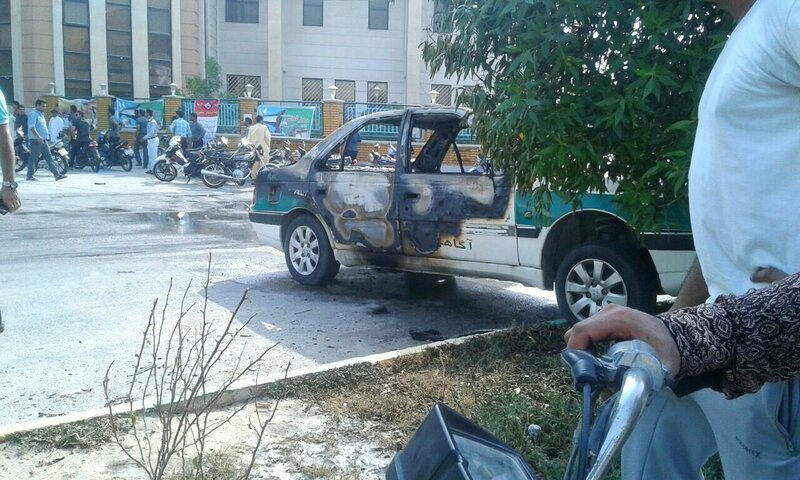 A group of angry people saw the incident and clashed with the police in front of the hospital in Asaluyeh during which a number of civilians were wounded, at least one police car was set on fire. There are different reports about the reasons for the protest. Some local sources announced that a young sailor named “Khalil Bagheri” referred to the Harbour to harvest his appliances from the boat (ship) and there verbal dispute deals with a degree called “Rashid” for undisclosed reasons and by the intensification of the debate the police officers killed him by a direct shot to the head of the young man. The people in Dakhl Taqi in Asaluyeh called for the prosecution of the officer by gathering in front of the police station. During the protest, violent clashes broke out and at least five civilians were injured and a police car was set on fire. On the other hand, state-run media published different reports. 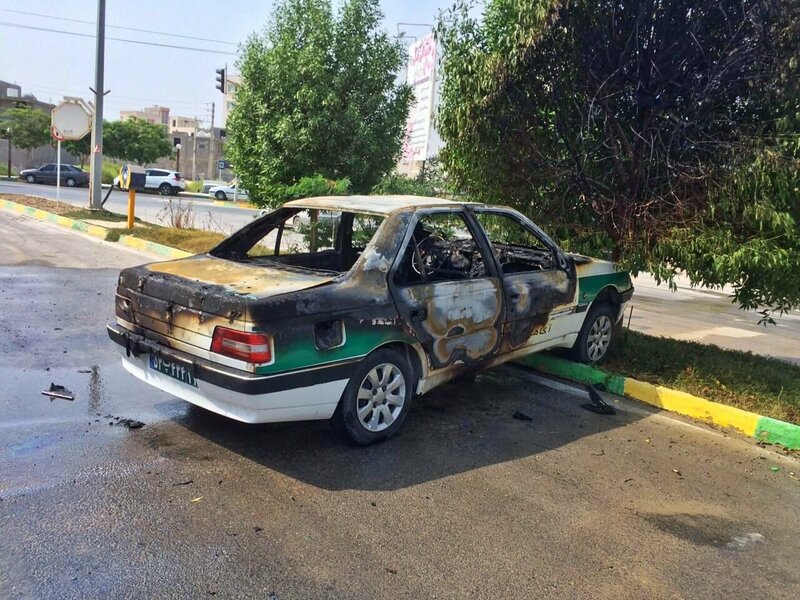 Fars and Mehr news agencies, quoting the public relations of province police chief of Bushehr, reported that on July 6, during discharging the traffickers in Dakhl Taqi in Asaluyeh, after the presence of the police and clashes between the police and smugglers, one of the traffickers was killed. And now the situation is under control.